Such a cute post! I adore your blog. am so in love with these! I wore the Crocheted Vest I won from your giveaway this past Summer last night. And a distressed leather belt. I wish I had pictures!! I'll wear it again soon since the weather has been BEAUTIFUL FINALLY!! By the way I love these outfits. Totally stealing some inspiration from them. I love especially the first look with those lovely boots and dress. Something you could wear in New York right now with this lovely springy weather. I love ModCloth, and the styles you created are amazing! Thanks for sharing! I love Modcloth, Those pics are great! wow you did a great job my dear...two thumbs up gorgeous!!!! These are so YOU!! Love them both, especially the first. You can style me any day, darling, lol! Fantastic choices and layouts Giovanna! I love these ensembles. I adore these outfits!!! You're a great stylist my dear! Ohhhhhhh! I love it! Is so cute! Your blog is fabulous! Ohhh the lace! so gorgeous! hello beautiful lady, love all the looks, makes me want to raid my closet and dress up! big hugs to you, my dear! 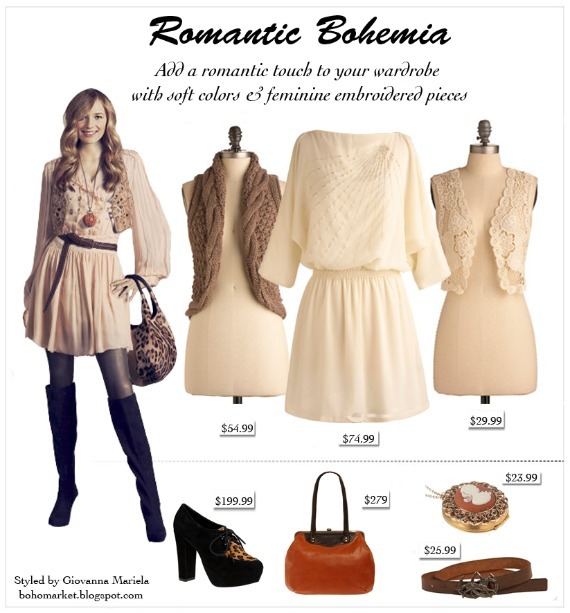 Love the romantic boho look! So adorable! 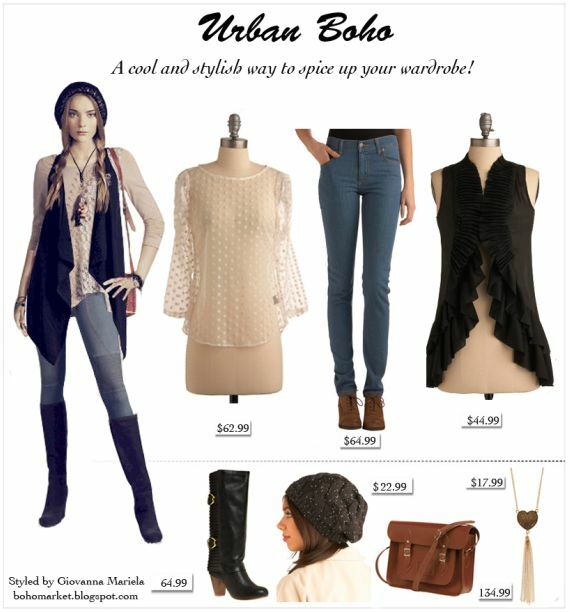 cute looks for some great prices! i love. all your collection about ladies fashion very beautiful this collection made your blog so nice and perfect keep is up.And thanks for sharing this all like shoes and outfits.